Photo Credit: Gathering of Nations Pow Wows photos by Derek Matthews. Photos from the Choctaw Pow Wow by Ginger Reddick. Women’s Traditional Dance is the very oldest form of dance for ladies. “Ladies Cloth” is a form of Native American women’s dress and dance and has both a Northern and Southern style. The Southern style is danced by numerous Oklahoma tribes, including the Comanche, Kiowa, Cheyenne, Osage, Otoe, Ponca and Sac & Fox. Females of all ages are seen dancing this very regal and proud style. In Southern style dancing the women move slowly and gracefully around the arena in time with the drum, gently stepping toe-heel, toe-heel, with the feet appearing to “walk on clouds”. 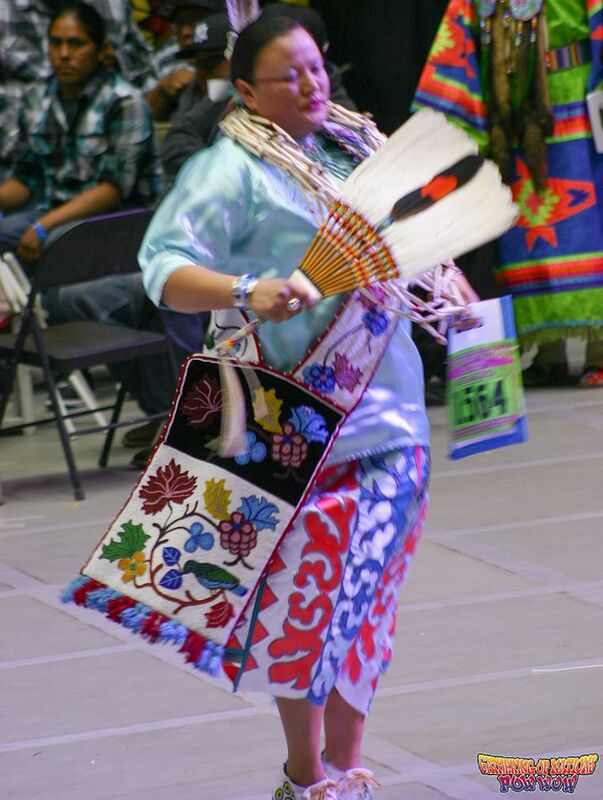 Dancers typically carry a fringed shawl folded over their bent left arm, a purse in their left hand, and a feather fan, usually of eagle or hawk, in their right hand. The women hold themselves tall and proud, with their bodies straight. The fringe on the shawl sways naturally with the movements of the women’s feet rather than from the upper body bending or swinging. The fan is raised in salute when the women hear the drum giving honor beats, and some ladies will also bend at the waist in sync with the honor beats, remaining in one spot or taking a certain number of steps inward toward the middle of the circle. At all times, the dancers stay in time with the drum and stop precisely on the end of the song (when the drum stops). Southern Cloth and Buckskin dancers are very similar, so much so that in some powwows, Southern Cloth and Southern Buckskin dancers compete under the same category of Women’s Traditional. Both styles are, in a sense, meant to evoke the dignity and grace of our traditional First Nations women, and by dancing in this way, modern women honor women of the past. Women’s Southern Cloth outfits are simple in basic design, with two different styles of cloth dresses. Wearers of both styles use similar, highly decorated accessories. One style is the single piece dress, also known as the T-dress, a simple construction of two pieces of fabric which are in the shape of a letter ‘T’ and is similar to buckskin dresses in silhouette. This style dress is usually made of lighter weight fabrics such as calico, satin, or even velvet, but wool is often used as well, making them look much like the Northern Cloth style. Both Kiowa and Comanche women traditionally wear an additional wrap, called an apron, at the waist, which is usually a contrasting color or pattern and is often fringed in the same manner as a shawl. Dancers wearing this style of dress also wear a belt that is most often German silver conchos, with a matching drag of German silver pieces that reaches to the ankles. Occasionally, brass conchos are seen, and infrequently, a beaded belt might be worn. Attached to the belt are usually three beaded bags: a small knife sheath, an awl case, and a rectangular or trapezoidal shaped pouch called a strike-a-light bag, which was originally used to hold flint and steel for starting fires – hence the name. The second style is a two-piece outfit with a skirt and a slightly oversized shirt. Shirt styling and the skirt depends on the tribe of the dancer. Ribbon appliqué is seen on many of these skirts, as well as on the dancer’s shawl. No belt is worn with this style outfit. Some dancers wear a wraparound style skirt with ribbonwork around the bottom, continuing up the edge of the front flap and ending at the waist. The appliqué is made of layered ribbons in wide bands. Sometimes, the ribbon work design on the hemline will be differently colored then the ribbon work on the front flap. Another type of skirt worn by some Northeastern Oklahoma tribes is rainbow selvedge broadcloth with either ribbon work or floral appliqué beadwork in place of the ribbon work. The blouse can be any type of fabric, and may themselves be without adornment as accessories such as German silver brooches are most often worn attached to the front of the blouse below the neckline. Ribbonwork, also called ribbon appliqué, is an old style of art that has evolved and become more complex over the years. 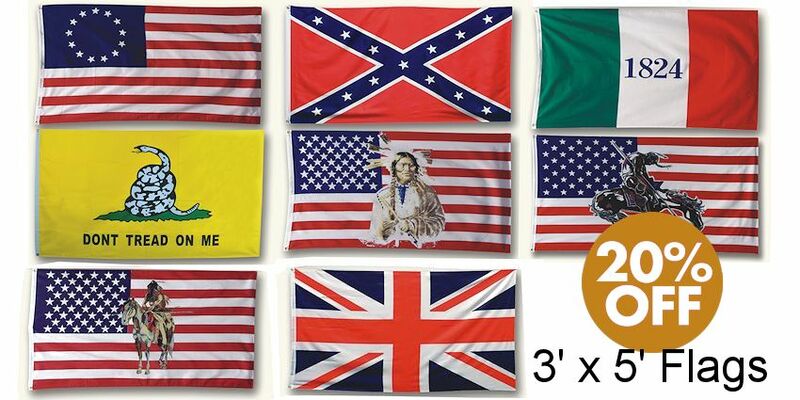 The ribbon work for the Southern woman’s skirt is also used to decorate many articles and “areas”. The hem of the skirt, the panel of the skirt, the drop that connects at the neck and hangs down to the hem of the skirt, as well as on the shawl, often have embellishments of ribbon work. 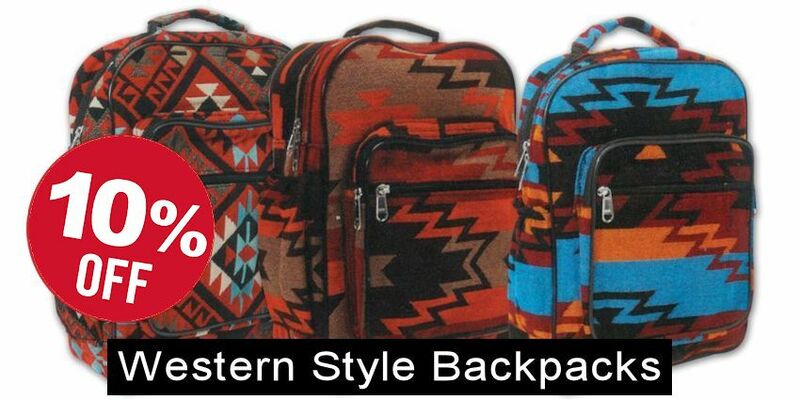 Generally, Southern Cloth outfits are complimented with accessories that can include a beaded crown, purse, moccasins, choker, hair ties, earrings, shawl and fan. Options also include a scarf, a woman’s style breastplate, and various silver brooches and pins. A woman dancer might also wear an eagle feather or plume in her hair as she dances. This Southern style breast plate has both a front and back to it as opposed to the one-sided style worn with the Northern style outfit. The dancer sometimes wears a scarf and choker, and usually carries a fan, purse and shawl. 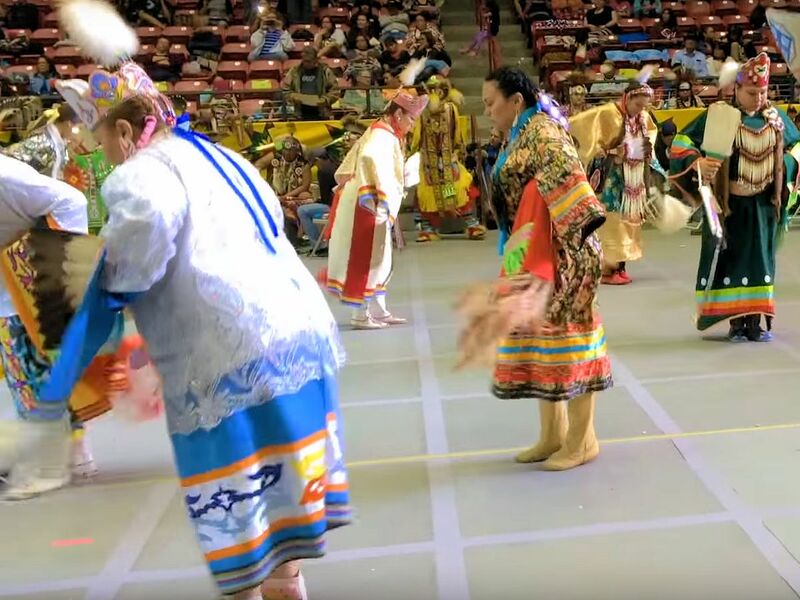 This type of dance is a truly beautiful aspect of Native American culture. Women Traditional Dancers usually wear a single eagle feather or an eagle fluff in their hair, which is typically held in a beaded clip or small medallion. The hair itself is often braided into two long braids brought forward over the shoulders and decorated with beaded hair ties or abalone or mother-of-pearl disks. Often, the ends of the braids are lengthened by adding the whole skin of a mink or ermine to each, and a preferred decoration is otter braid wraps. Several different styles of moccasins are worn, depending on the tribe. Some wear low top partially beaded moccasins generally with hard soles, low top moccasins with broadcloth leggings decorated with ribbon work or beadwork, or full beaded hard-sole, Plains style moccasins with full beaded buckskin leggings. However, the most commonly seen and universally popular are the high-top, partially beaded moccasins often referred to as boots.